Sense measures current and voltage 1 million times per second for unprecedented accuracy. 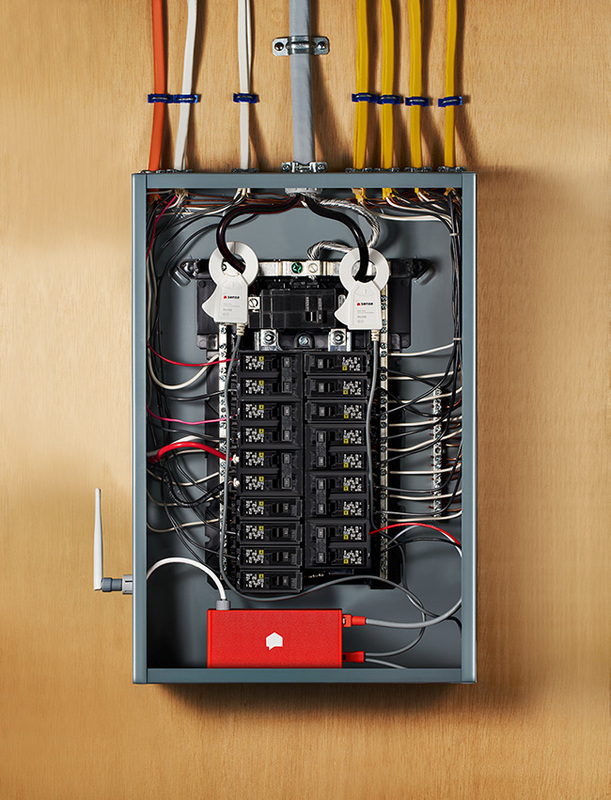 That’s about 84 million times more often than your utility’s “smart” meter. 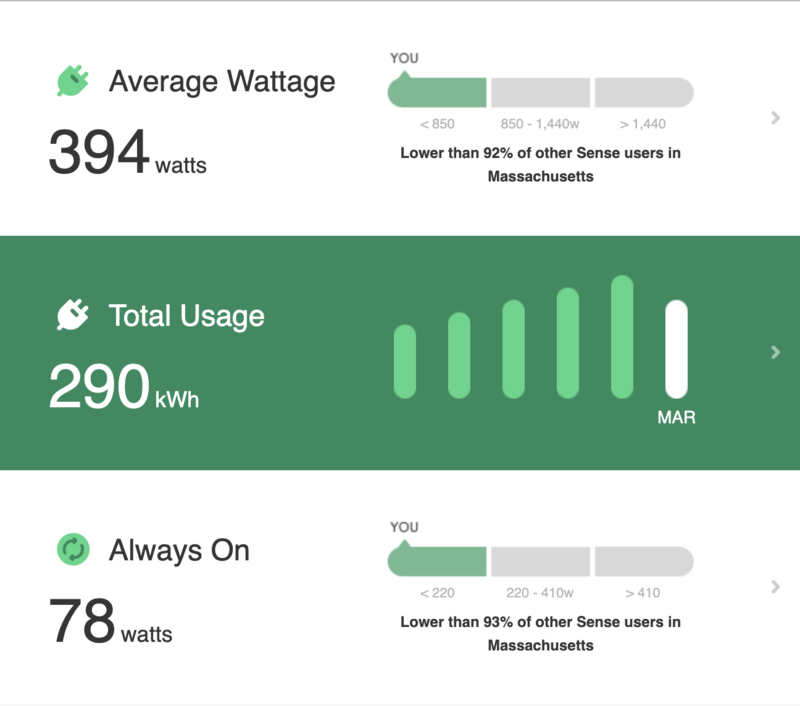 Monitor your electricity use in real time to the second. 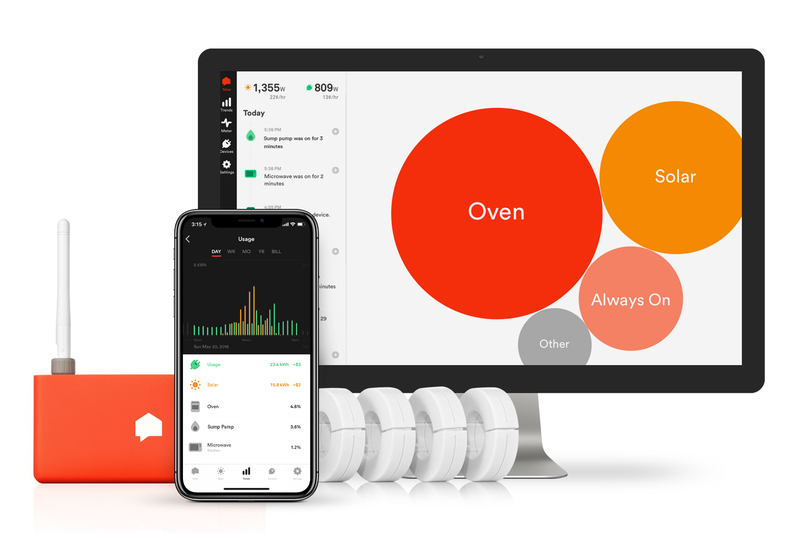 With Sense, you can track the power consumption of “dumb” devices like your AC, oven, dryer, or dishwasher just by watching the Power Meter when they turn on & off. See exactly how much solar you’re producing and balance your power consumption across the day to maximize your solar investment. Nothing brings your energy use into perspective like viewing real-time and historical usage in dollars and cents. How much are vampire loads costing you? How much does solar save you? Track how much energy your home is using and how much solar you're producing by the day, week, month, year, or billing cycle. 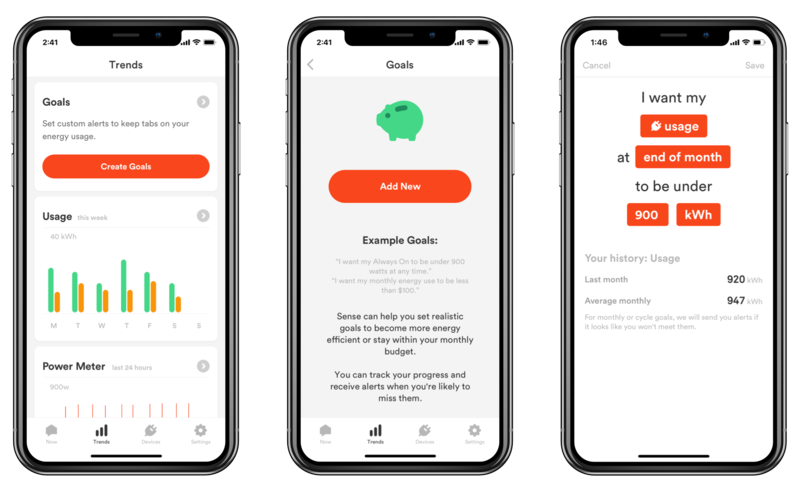 Set Goals to reduce your energy usage over time, and monitor your progress along the way with trending notifications and progress bars. Opt in for monthly email reports to track your progress, including month-to-month usage statistics. Compare how your usage stacks up against other Sense users. 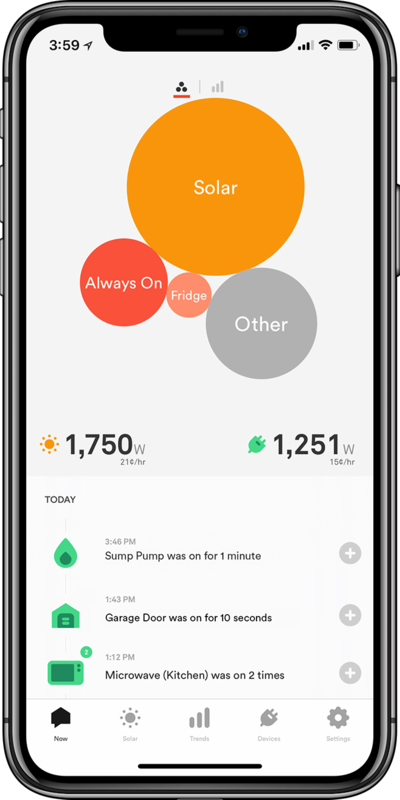 View the activity of individual devices in real-time and historically on the Now screen, with clickable device bubbles that show what’s on, and a timeline of on/off activity throughout your day, so you can see what’s happening at home. 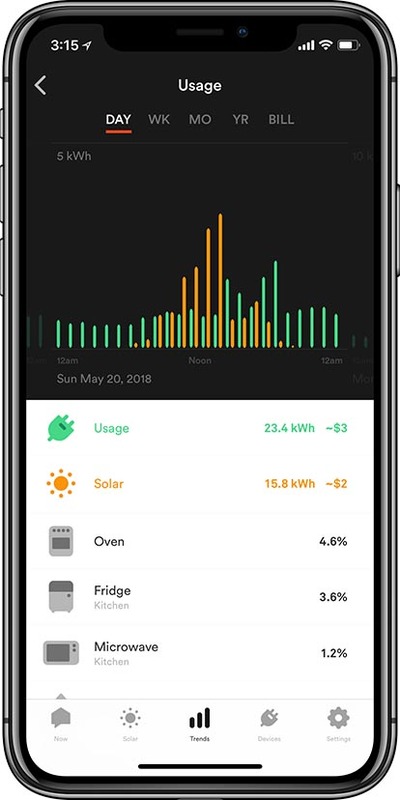 Over time, our machine learning algorithms work to identify the electrical signatures of individual devices within your home, so you can track what’s on, when, and how much energy they use. As Sense continues to gather more data from homes like yours, detection algorithms will improve and new devices will be continue to be discovered in the weeks and months to come! 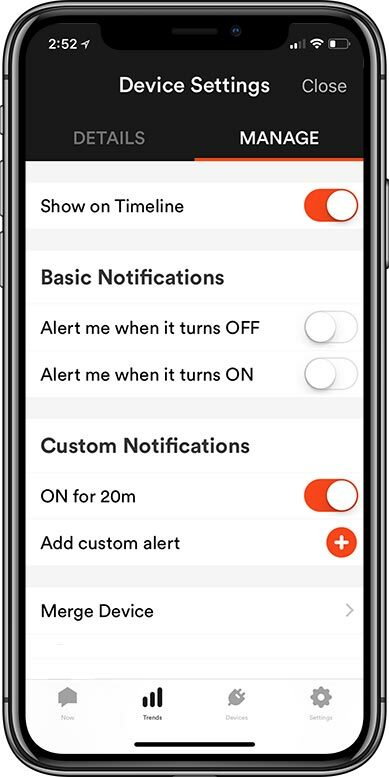 Use custom alerts to keep your home safe and let you know when something has been left on or is using too much energy. Set email and push notifications for when devices turn on or off, and when they’ve been on or off for a certain amount of time. 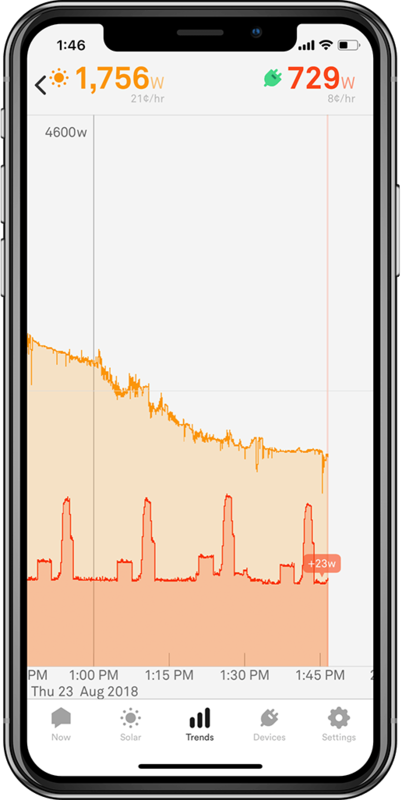 Track activity and power consumption at your vacation home or rental property while you’re away. Sense can help identify when a pump is running too long, a dangerous appliance is left on, or if your rental unit is occupied past check-out time. For each device that’s detected, Sense will either name it automatically, or ask for your help identifying it. 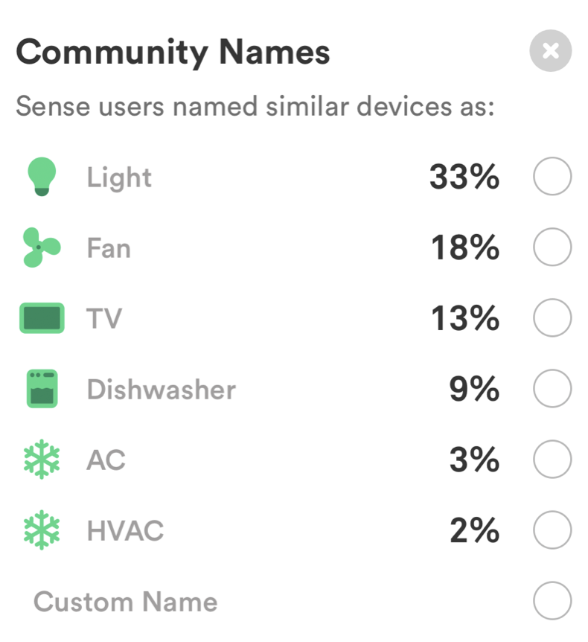 The Community Names feature leverages the names other Sense users have contributed to help you identify your own devices. Sense can connect directly with Alexa, IFTTT, Philips Hue, and more to help refine device detection and connect older appliances with your latest smart home technology. 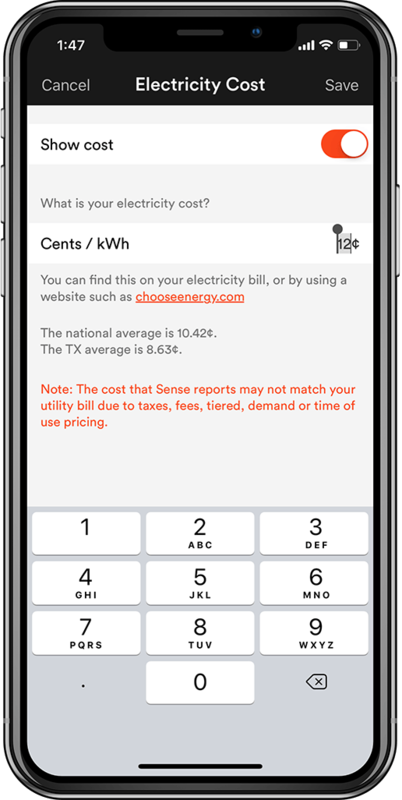 Check in on the go from your phone or mobile device, or dive deep to analyze your energy data from our web application with a full-screen Power Meter, CSV data export capabilities, and more. HomeCheck is a free beta service for customers. The Sense data science team will research user-reported appliance and electrical failures to help you troubleshoot problems in your home. With your help, we may be able to automate this process in the future to make all Sense homes safer and more reliable.